Spend less time organizing and more time teaching! Join other smart teachers and start GoTeach for FREE for the first 7 days with no obligation! GoTeach is a highly effective tool for teachers, made by teachers. 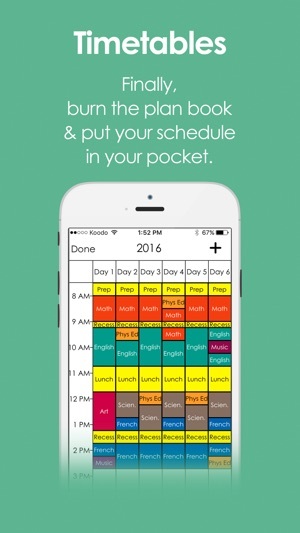 We know how busy educators are, so we have created this app to help them plan their day efficiently, share/email their lessons with other professionals (substitute teachers, co-workers, administrators) and track important notes/milestones - with the convenience of using GoTeach from anywhere, at any time! GoTeach is for educators at all levels, from anywhere in the world. 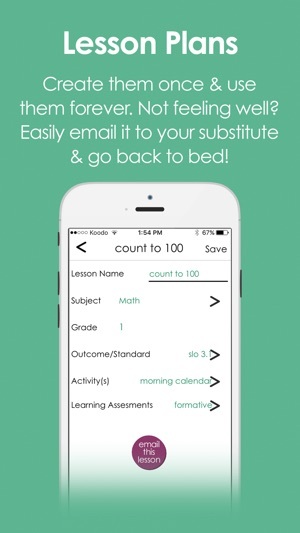 - email a daily timetable or class to a substitute, co-worker, etc. - create and save your lesson plans which include learning outcomes, materials needed, assessment methods, etc. - email lesson plans to co-workers, substitute teachers, etc. 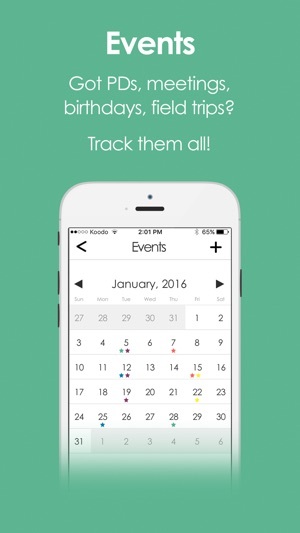 - set important reminders such as phone calls to make, lessons to create, errands to run, etc. - create and save important events such as professional development days, student’s birthdays, staff meetings, etc. 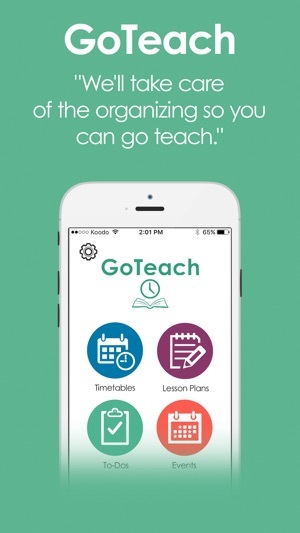 Get started with GoTeach now so you can make being a teacher a whole lot easier! Introducing, Community Lesson Plans! That's right, we have a BIG update for you here because we've now built a lesson plan vault where you can share and use lesson plans from other teachers in your grade or other grades. Please don't hesitate to contribute your favourite lesson plans today! Thanks for all your love and support. We really do have an incredible community of teachers and we hope now to make this even more valuable for you with our community lesson plans. Thanks Teach! P.S. We have a full-time support team that's here for anything you may need. Just message us at support@goteachhq.com anytime. Is there a way to export your lesson plans? I have to turn them in. And is there a gradebook? I recommend GoTeach to all my teacher friends! I love how the ToDo section allows me to save for future documentation. This way, I can see when I’ve called a parent or completed an important task. Only one of the awesome features of GoTeach! So nice to have so many organizational and planning tools all in one.